CBODN - Evening Program | "The DNA of a Highly Engaged Culture"
Evening Program | "The DNA of a Highly Engaged Culture"
"The DNA of a Highly Engaged Culture"
We all know that the best-laid plans can go astray, and many of us have seen this played out in an organizational context. We struggle to translate theory and knowledge into the practice of inspiring people, to help our organizations realize a larger impact in the community, or to facilitate change with an eye toward improved performance. We also know from the research (Harvard Business Review, June 2000) that approximately 70 percent of change efforts fail, one of the primary reasons being that organizational culture isn’t considered. Culture—the shared values, beliefs, and norms that guide an organization—is different in any context; however there are some common characteristics of any effective and engaged culture. Brighter Strategies in conjunction with Human Synergistics and Maryland Nonprofits recently conducted a nonprofit culture study to explore the DNA of a highly engaged culture within this sector. During this workshop, we will discuss the DNA of a highly engaged culture, focus on the application to the nonprofit sector, and you leave with tools to proactively cultivate change within your organization. Liz has provided training and consulting services in strategic planning, process-improvement, and human capital development for over 170 nonprofits and associations and has facilitated over 25 Board of Director retreats. She has extensive experience in developing and managing all aspects of an organization’s quality and business improvement efforts; such as developing and administering programs, training and coaching employees, and facilitating organization-wide change. She has been a Baldrige examiner for the Commonwealth of Virginia and is a certified Standard of Excellence consultant. 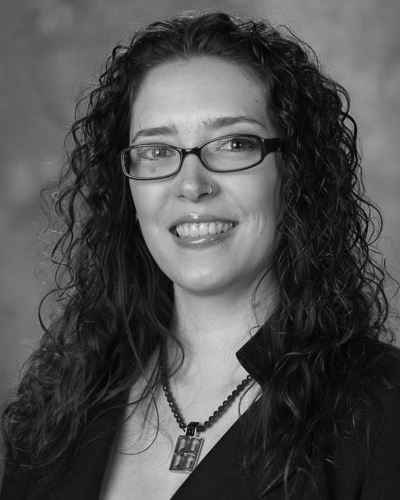 In addition to managing the practice, Liz holds a faculty position at The Chicago School of Professional Psychology where she teaches in the master’s of Industrial Organizational Psychology program and the doctorate program in Organizational Leadership. Liz holds an undergraduate degree in Sociology and a master’s degree in Organizational Sciences from The George Washington University, as well as a second master’s and Ph.D. in Human and Organizational Systems from Fielding Graduate University in Santa Barbara, California. She lives in Falls Church, Virginia with her husband and three dogs. ***Registration: We strongly encourage everyone to pre-register for planning purposes. Students will be given a special rate for this workshop. If you are a student please email Shara Smith at sharasmithmsod@gmail.com to register. You must have a student ID.